Being an internal champion of mindfulness at a large organization can be a challenging (and sometimes lonely) job. It’s also a position frequently held by people on a mission: passionate about the dissemination of mindfulness practices for the greater good at this moment in time. Mindful Leader and the Garrison Institute wanted to create a space dedicated to the specific concerns, needs, and inspirations of these people. Our hope was that we could begin to form a consolidated movement and a budding community of practice across industries. 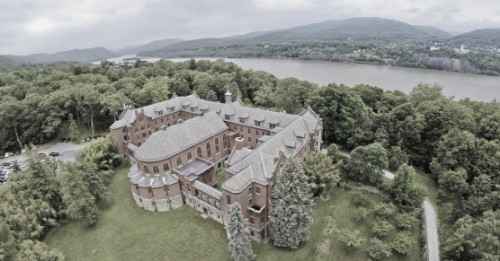 As a “monastery for the 21st century,” the Garrison Institute provided the perfect setting. Over the weekend, we shared mindfulness practices, dined together, did yoga, walked in nature, and engaged in intense dialogue. The retreat was designed in an unconference format, a participant-driven modality for gathering that allows content to be determined by the interests and needs of the group. We offered a loose structure that was then shaped by input from our participants. Specifically, the questions and topics we chose to address in detail on Saturday, our full working day, were surfaced through discussion in pre-conference calls and during a series of participant-led “show and tell” presentations. All-in-all, we were about 38 practitioners with a rich spectrum of lived experience. Participants came from industries ranging from insurance, healthcare, education, banking and finance, engineering, technology, diplomacy and social services.We also had diversity in terms of depth and length of personal mindfulness practice and experience stewarding and scaling programs at major organizations. To harness all these points of view, we created opportunities for collective wisdom to surface and resource sharing to occur. In the end, a weekend is a very brief period of time. We raised more questions, perhaps, than we answered. But, everyone agreed it was a great start. The discussions were rich and wide-ranging. And we all felt we left with a new set of friends and allies on the path. What we created was genuine community and a safe place to raise questions and share concerns. Our hope is that we can stay in touch and keep the momentum; perhaps ultimately rolling it into similar gatherings in the future. If you’d like to stay in touch about other such future retreats co-created by Garrison Institute and Mindful Leader please contact John Sirabella at the Garrison Institute: johns@garrisoninstitute.org. We used small working groups to dig deep into a series of seven topics selected by the group. These notes capture the nature of the discussions, but not always the answers. Some topics were covered by two rotations of group work, while some were tackled only once. What problems are we trying to solve with mindfulness and what are the consequences of not doing it? What is the best practice for creating a program? What is the science/research to demonstrate the business case? What are cultural trends and movements to support the business case? What are the specific, situational considerations for introducing a successful and sustainable mindfulness program in your organization? What is the risk? What is your tolerance for risk? What fears are present? For you and for the organization/leadership? JUST DO IT. Don’t get held up with specifics or lost in the weeds. Go for it in small ways and then adjust on the fly. Overcome fear, gain and recruit allies, adapt it. How to actually build it? Do your research. Know the specifics of your organization’s culture and openness. What does your company care about? What programs and tools are out there and available? What is your competition or similar companies doing? Find your internal advocates and champions. They can form the roots of your effort. Find the right language for your audience. Refine. Trying to take Buddhist concepts into the executives is not useful. The science and the research are now available. Neuroscience, etc. The spirit in which the program is created matters. If we push, demand, and create in a rigid and linear way, that’s the kind of program we’re going to get. How to involve heart, spontaneity and receptivity in the process of creation? What is the role of stillness? Patience? Slow and steady really does win the race where mindfulness is concerned. Many internal champions have to overcome a concern about their own personal reputation: What if it fails? Make sure you have a support system in place as you launch. It will be a lot of work and will require vulnerability. There may be mistakes. Make sure you know who to call and lean on. Have a sense for the metrics up front. How will we know if what we’re doing is working? Recognizing the source of resistance: Some resistance and reactivity can come from the feeling of overwhelm many office workers are struggling with these days. It can feel like “one more thing on my plate” or “one more thing I need to look into or do.” That can cause resistance. How can we respect the overwhelm and give space for it? How can we make it easier for people to engage in bite-size and manageable ways? Empathy can be an important tool for enlisting people into your mindfulness program. Let them know you understand their stress. Little programs and simple tools to start: like the #2333 phone number at the hospital that anyone can dial for a 3-min guided meditation. Used by all. Easy to distribute and tap into any time. Giving people non-invasive assignments to start: Just observe yourself for a week. No need to change anything; simply observe and take note of where you feel stressed or overwhelmed, how relationships effect you, where you are tired…Notice. What are we scaling and how will we do it? What does the program look like beyond the launch phase. Beyond early adopters? Money/resources are necessary for scaling. How can we prove the business case for what we’re doing to get the funds to do more of it? The process of scaling is organic and depends on the culture of the organization: no one-size-fits-all approach. Internal Resources and Champions: Your internal champions can be great support and advocates for what you’re doing. Identify and tap into the internal resources you already have. “Closet meditators” come out of the woodwork. Tie mindfulness into the broader language of Self-Care. How it can help with stress reduction, diet, sleep? Tie mindfulness into the conversation about innovation, decision-making and creativity that’s happening at many companies. Virtual and digital tools can help: Headspace, Calm…Help people know which options are good. Become a curator for the curious. Nurture their interest. Mindful meetings, mindful listening, mindful driving and flying (Boeing): incorporate mindfulness and integrate it into activities the company already engages in. Integrated practices work really well for those who don’t like a sitting practice. Go slow. Pilot first and collect metrics and then refine over and over. Word of mouth is critical. What is the best language to use when talking about compassion? What is the relationship between mindfulness and compassion? What is the real level of interest in compassion in the corporate world? Where and how does self-care fit in? What is the difference between compassion and empathy? Mindfulness is not necessarily compassion, but it can lead to this. Compassion training is a different thing than mindfulness. Embodiment and empathy are important foundational skills for bringing compassionate action into the culture. “You can’t give what you don’t have.” Especially in environments like healthcare providers and hospitals…customer service frontline, teachers in the classroom, etc. People need the tools to find compassion and relate with empathy. Mindfulness is the building block here. Compassion: A deliberate response to alleviate the suffering of another or others with personal balance. Allows a healer to heal in a healthy manner. This feels like the next frontier of mindfulness in the workplace because we’re needing to have more compassionate conversations about difficult topics at work. It can also help with the stress and difficulties of change management. Living in this time of radical transition and chaos: How explicitly do you make mindfulness a part of change management at work? What role could mindfulness play in the change/transformation process? Can a focus on team dynamics be the next frontier of mindfulness training in the workplace? Often change happens at the organizational level with little attention to the needs and experience of the individuals or even teams. Mindfulness has focused on the individual within a company, while change management has focused on the organization. Can we meet in the middle? Helping individuals to build interpersonal skills and relationships within small teams can help create safe spaces to “metabolize” change and reduce the perceived threat level. We have more work to do to show management the practical relevance and impact of the work we do as mindfulness educators and program directors. We must be aware of the ethical issues here — we can use mindfulness to inspire a new relationship to change, but not to coerce. Mindfulness is for liberation, not coercion. Change is often perceived as a negative, so the role of mindfulness in change management must be protected with integrity. Time to shift from bringing impact to individuals to bringing impact to teams: communities can work to make change happen more smoothly and with less disruption: Western mindfulness, the way we teach it, is frequently focused on the individual and must now include more of a group experience. How and where can we learn more about how others are measuring the success of their programs? How can we share tools? How in depth or “academic” do the measurements need to be? How validated do the tools for measuring programs need to be? What are the ways we can get a “quick read” on programs? Metrics drive the business case: Correlation between metrics and proving the business case and getting the money needed to build, support, and scale programs. Value of longitudinal tracking - watching individuals and groups over time; year-over-year metrics. Is attendance in programs up or down? Did you gain skills that will help you do your job better? Tough to attach an ROI to wellness programs - avoid if possible. Evaluations versus benchmarks, peer review. What are important qualifications for mindfulness teachers and how do they differ by setting? Is it better to do something (if you are resource constrained) than nothing? What are some solutions that can be a bridge to a better-funded program? Open source? Digital resources? Where does this conversation intersect with the diversity and inclusion conversation? If we only recognize limited and expensive Western oriented credentials, we lose. Qualifications will differ depending on where you are and what the tolerance for experimentation is. Schools and healthcare companies have a lower tolerance for un-credentialed teachers and programs. Make sure you’re measuring feedback on teachers through surveys. Know how your teachers are doing at all times. Supervision is critical. Beyond credentials there are the important intangibles: does this person fit our company culture? Learning to teach mindfulness does not necessarily make you an expert. Understanding what your company considers a quality offering. We need to respect the delicacy of this work for many people. We were reminded by the UN delegate that many people in her programs have experienced a great deal of trauma. We need to know if the teacher is capable of working with trauma. Diversity of opinions present as to how credentialed a teacher needs to be. Consensus agreement that we need to be clear what we are and are NOT teaching in our respective programs. Acknowledgment by the group of the tensions in this question. We can’t also just look through a Western-scientific lens and only recognize the validity of credentials from expensive training programs. Becoming a mindfulness teacher requires a lot of money and time that many don’t have. Where does this question intersect with the diversity and inclusion conversation? This is an important point. How do we honor diversity without making anyone feel “less than” or unwanted/threatened? How do we awaken interest in those who are currently unaware of our systems of oppression? How do we incorporate justice training into our mindfulness programs? Is this the place for it? How can mindfulness uncover bias? How do we make the invisible visible? Can we see our internal thoughts around this without shame and with compassion? What role could mindfulness have in supporting cultural fluency? How do you bring students from diverse backgrounds into an environment where exposure to contemplative practices isn’t a privilege, but a birthright? What is the role of mindfulness in breaking through hate and enabling civil conversations? How do we use our mindfulness program/practices to raise awareness and wise action for unconscious bias and social justice? How do we invite more diverse-identified persons into the work? How do we undertake the task of decolonizing mindfulness? Diversity is the answer, not the question. Diversity can be seen as a monoculture problem. Example of the monoculture of corn versus the indigenous wisdom of planting “the three sisters” together to diversify and call on the strengths of each plant to create an eco-system. Better together. Stronger and more resilient when we can incorporate and leverage our differences. Key leaders in the mindfulness movement originally were white, American males. We’re now seeing the results of this: blind spots are coming into focus. Biases (known and unknown) are foundational and need to be well-understood. Cultural appropriation and the secularization of mindful practices. What are community practices that are truly inclusive? In some corporate cultures there is a low readiness for conversations regarding racial diversity. How to bring them along? We have to/get to hire more people of color, women, and indigenous people as teachers. We need to make this a priority. Develop specific communications for minority audiences: understand their specific needs and barriers. Seek to understand what other cultures bring to this work: be open, vulnerable. Be the student.